You'll find the Bay Area a welcoming community! 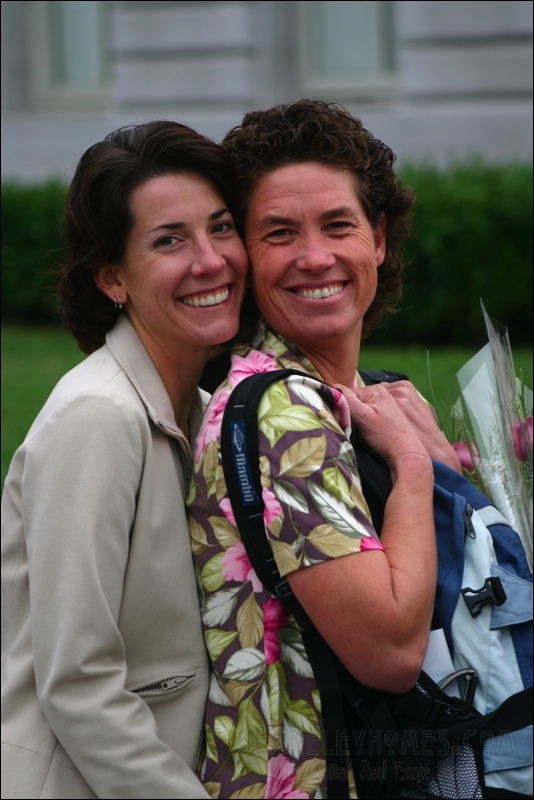 On 14 Feb 2004 Carol showed me a picture of two daddies, with two babies, getting married in San Francisco City Hall. I took one look at the photo and said "we have to go watch history being made"
What we saw that day was hundreds of couples.. in love, getting married. Earlier that week, HBO showed "Iron Jawed Maidens" about the suffrage movement. 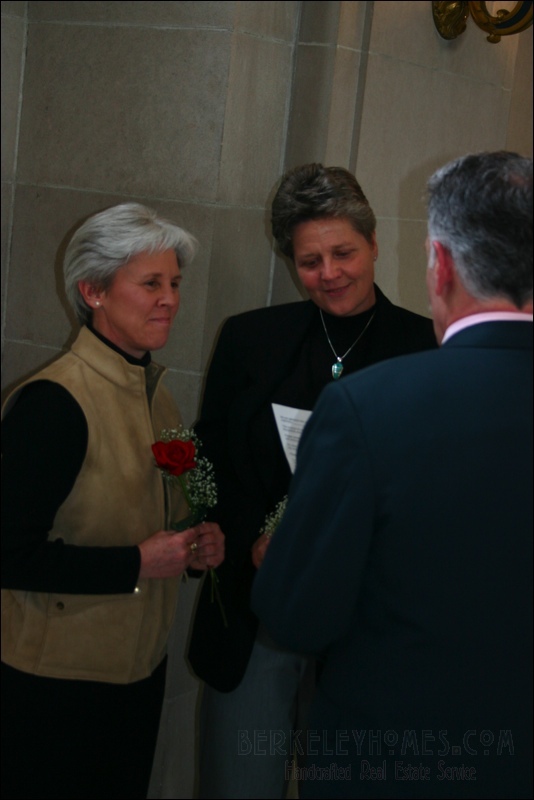 My strong conviction is that in the not-too-distant future we'll look back and say "what took them so long to legalize marriage between two consenting adults in love, regardless of gender"
Little did I know that I would be asked to be a witness one of the ceremonies. It was an honor and a memory that I'll always cherish. I felt a bit like John Hancock when I signed the marriage document.. I wanted to make sure my signature would stand for time immemorial. We look back at recent events such as Woman's Suffrage and the Civil Rights Movement and ask "What took so long?" When the real "Defense of Marriage Act" is passed - the one which really defends marriage and permits two consenting adults to marry - we'll say the same thing! And today is 15 May 2008. 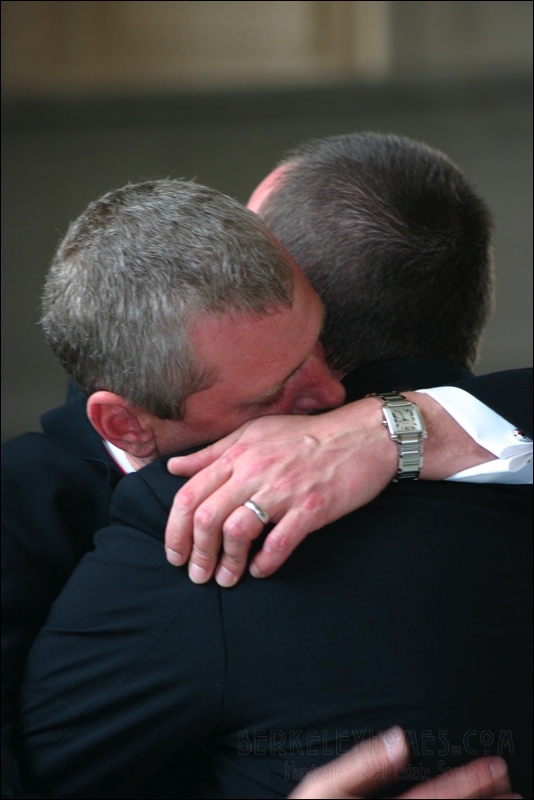 The California Supreme Court just struck down the gay marriage ban.. and history has been made. 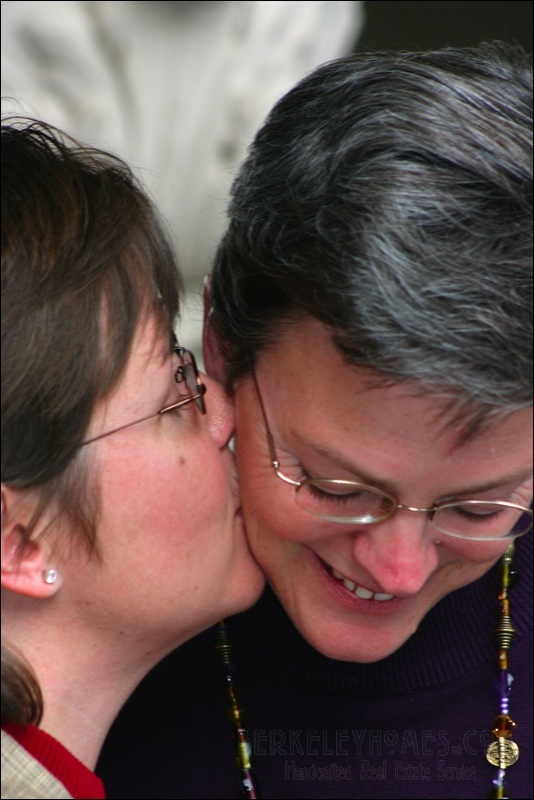 While estate planning is important for everyone, it's particularly important for gay and lesbian couples buying homes together. Legal rights are still behind the times. At the same time you start your home search, we recommend consulting with an attorney to develop an estate plan.. and a living trust. Note that regardless of marital status, many lenders require that any loan or refinance papers are signed by individuals rather than the trust. It's very important that you have the appropriate deeds set up so you can move the property out of, and back into, a trust as part of any purchase or refinance.